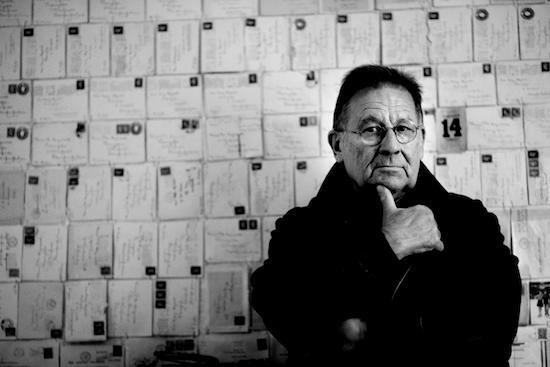 Born in Berlin in 1937, Irmin Schmidt studied under both Karlheinz Stockhausen and György Ligeti and conducted numerous orchestras before forming the legendary experimental rock group Can in 1968, along with Holger Czukay, Michael Karoli and Jaki Liebezeit. After the band split in 1979, Schmidt moved to the south of France, where he recorded a huge number of film and television scores, a continuation of the soundtrack work he had begun with Can. Following that, he released a series of solo LPs - Toy Planet in 1981, 1987's Musk At Dusk and Impossible Holidays in 1991 - written a three-act opera based on Mervyn Peake's Gormenghast that premiered in 1998 and collaborated with Kumo, the British musician Jono Podmore, which led to the Can solo projects tour in 1999. This week, he released a box set, Electro Violet, containing all six of his solo albums, alongside six CDs of his soundtrack work. Before speaking to Schmidt about 13 of his favourite albums, the first record he ever bought, one of his few artistic regrets and stealing tape from Stockhausen's class, talk first turned to his other projects. Are you working on something currently? Irmin Schmidt: In about a year and a half, there should be a book coming out, published by Faber & Faber. The first edition will be a very precious, very coffee table book, containing two volumes. One will be the Can biography, written by Rob Young, and the other volume I will edit and write. This symposium, as I call it, will contain notes and ideas and diaries and interviews with musicians and neurologists about music and what it does to the brain. Also, connected with the book's release, a special orchestral concert is being planned for 2017, but I can't tell you much about that before it's been properly announced. Forgive me for asking, as I'm sure you've been asked before, but do you feel that The Lost Tapes do represent the last of the Can archive to come out? The quality of that release did kind of take me by surprise, I thought it was all really good stuff. IS: Yes, I think that will be the last. It did have quite a success. In the beginning, I hated the idea of working on 50 hours of archived old music, but then I got increasingly into it and the result, I really liked it. There is another archive, of live recordings. We didn't really do live recordings, though there was this guy in the '70s, the French journalist Pascal Bussy who wrote a Can biography with Andy Hall, and he collected live recordings from all over the place. Most of it is, of course, of quite a poor quality and that's why we didn't use much of it. But we will try to get the best out and there are still a huge amount of live recordings in Andy's collection, so maybe next year we will try to get a collection of the best, sound-wise, of these live recordings.